What Is Unique About Our K-1 Program? Students in our kindergarten and first grade program spend half of the school day in a Montessori based classroom and half the day in a traditional classroom. We believe that the Montessori approach to teaching reading, writing, and arithmetic is uniquely suited to children of this age group. The Montessori materials, which can be used in many ways across several subjects, are ingeniously designed to help students grasp abstract concepts by working with physical objects. 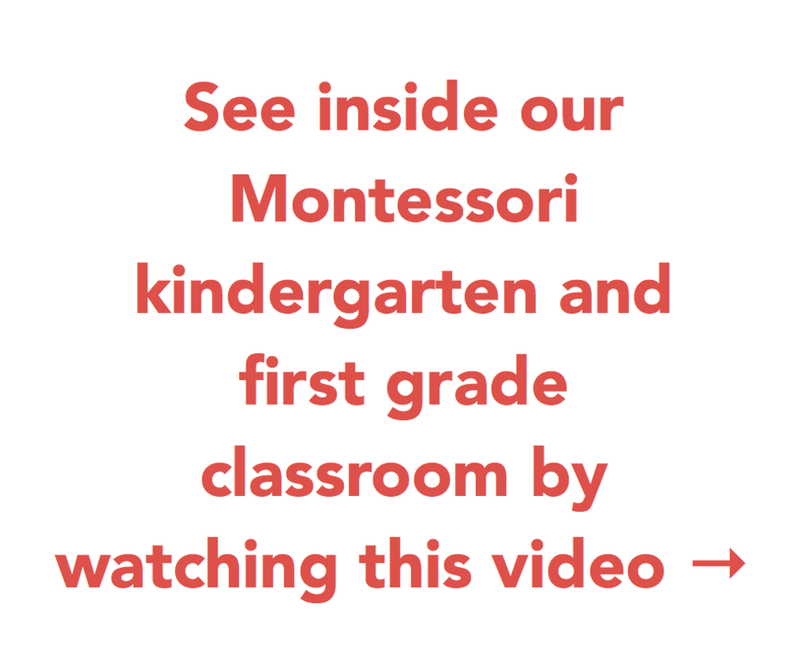 In the Montessori classroom, the teacher gives presentations to individuals or small groups of children while the rest of the students choose work from their repertoire of lessons. We have a complete set of Montessori materials for the students to choose from. Students work on individual or small-group activities within unstructured blocks of time as opposed to set school periods. The teacher ensures that students work consistently on a balance of subjects. In the traditional classroom, students study science and history, write compositions, practice handwriting, learn grammar, participate in book groups, develop math skills, learn about the calendar and seasons, and enjoy read-aloud time. Like the rest of VanDamme Academy’s curriculum our K-1 curriculum is focused mainly on academic subjects. At the center of this program are the language arts: composition, penmanship, reading, and grammar. Two central goals of these classes are for students to emerge as independent readers and to be able to write in complete sentences. Math and geometry are also integral to our program. The Montessori math materials offer an outstanding grounding in the base 10 place value system, the four operations, geometry, and fractions. Students get excited about history and science in our traditional classroom. We do not assume any fluency in reading when we admit students to our kindergarten class; rather, we assess each child and tailor our program as much as possible to his or her ability, The flexibility of the Montessori classroom environment allows us to individualize presentations greatly. There is the potential, within our program, for the advanced student to move ahead quickly and the less advanced student to spend the necessary time mastering the three R’s.